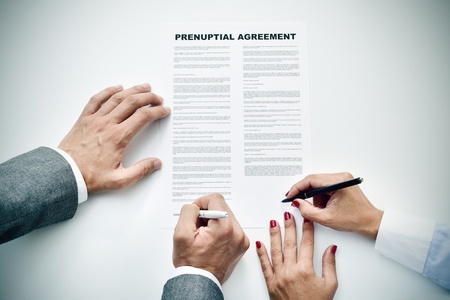 For individuals who have a prenuptial agreement, or are thinking about getting one, they often wonder whether or not the prenuptial agreement will simplify the divorce? The hope for many is that they can avoid the court process and have a divorce that is easier. The question is whether or not this is true? The reality is that when parties have a prenuptial agreement and are getting divorced, the prenuptial agreement still has to be filed in the divorce court. Generally, the prenuptial agreement will be filed as part of the initial pleadings by one or both parties to the divorce. The question at that point is whether or not both parties agree to abide by the terms of the prenuptial agreement or whether one party wishes to challenge it. In some cases, a party may allege that the prenuptial agreement should be found not to be enforceable for a multiplicity of reasons. These reasons can include claims of undue influence, fraud or duress. A party can also complain, in some instances, that the prenuptial agreement was either unconscionable at the time it was entered or at the date of the divorce in some jurisdictions. In other cases, one party might allege that they didn’t have an attorney representing them in the process (if this is true). On top of all of this, in some prenuptial agreements, there may be some matters that were not addressed fully in the prenuptial agreement and may create some ambiguities. These ambiguities would have to be addressed by the family court. Take cases where there might be formulas or criteria in the prenuptial agreement related to property division or spousal support. Additionally, if parties have children, matters of child custody and child support generally cannot be addressed in a prenuptial agreement. Thus, for many parties, there is a lot for parties to still work out on top of the terms of the prenuptial agreement regarding their children. At the end of the day, a prenuptial agreement can simplify a divorce process in many respects. But there are often a number of issues that still have to be worked out in many cases even if parties agree to abide by the terms of the prenuptial agreement. If you are going through a divorce, and have questions about a prenuptial agreement, you can contact Stange Law Firm, PC by calling 1-855-805-0595.